After living in Toronto for close to 8 years (wow), I must admit it is a relief to be back in my hometown. Dont get me wrong, I adored Toronto. The hustle and bustle, noise and going out at 3am where people were still around. The biggest change from there to here is that there is a forest/nature park just a short walk away. No need for TTC, no busses, no train. Just a simple walk. That little difference has made my stay with my parents just a blessing. Have you compared how you feel before you go to a similar place to after? I bet you have felt that bliss too. But there is a place here that gives me more bliss than anywhere else. Walking somewhere close to water with nothing but trees around me. When ever I am frustrated with coming up with an idea for a work or a post here, a walk by the creek does the trick. It clears the mind and helps inspire you for your next project, but deeper down there is more that you get from being with nature. 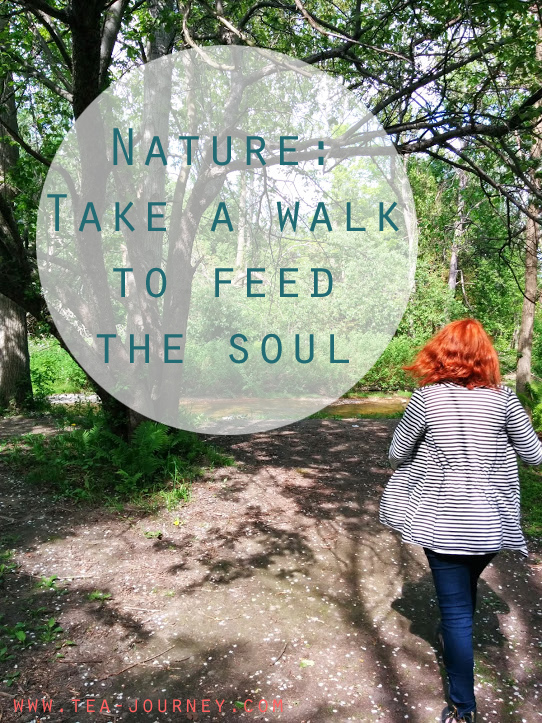 It will help your soul feel a bit lighter through the things that come out of going for a walk (also it fights stress!). If you are in a forest the air will feel better in your lungs. As trees filter out some pollution, it is the best place to get some true “Fresh Air” to reset your body. When we get really stuck or something in the back of our mind just refuses to go away. Literally getting away helps to melt it all. Try it before a big meeting or even a yoga class and see the difference in yourself. Who does not like a good walk? It helps your mind work at peak efficiency and you can work off that treat (mind is cookie dough ice cream, whats yours? ). Previous Post Positive songs that get me dancing!